Connect your own database to a universe of IPTV content. 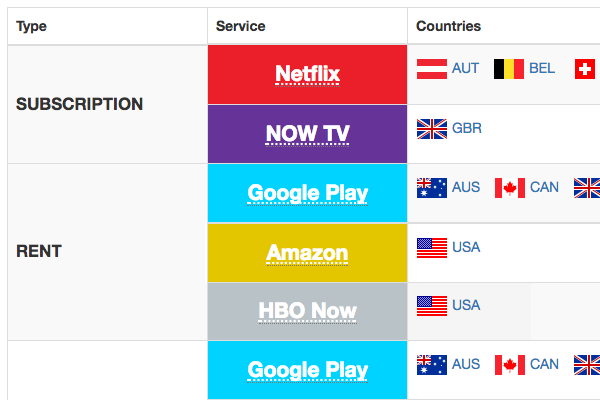 The Gyde API connects and automatically matches your own custom database to available streaming on local & international Video On Demand (VOD) services. Gyde ingests your own custom catalogue in any format - CSV, API, FTP, email, scraping. We've got your covered. 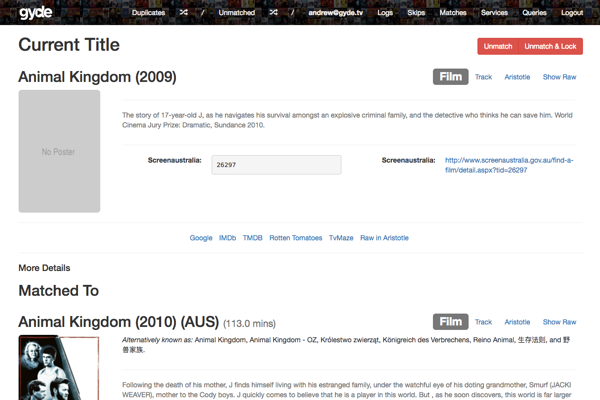 Gyde automatically matches your Movie & TV titles to available VOD sources, locally or around the world. Give your website or app visitors direct links to all available legal sources, taking them straight to the exact content they want to watch. Gyde supports local and international video-on-demand sources. Country specific, or multi-region. We index it all. Gyde makes adding deeplinks to legal streaming options easy. We do the heavy lifting to match your catalogue, saving you time and avoiding human error. We are always available to support your integration, and expand the capabilities based on any unique needs you may have for your business. Want to get started? Lets have a chat! Deeplink your website or app to Netflix, iTunes, Google Play, Amazon and many more! Gyde automatically ingests your custom database of Movies & TV Series and matches these to available streaming sources across local & international Video on Demand (VOD) services. Any format you maintain your own catalogue in can be ingested by Gyde. We take manual or automated feeds from your backend systems, ingest and normalise your content and prepare it for matching to legal streaming options. Once we have ingested your catalogue, we automatically match all your Movie & TV titles to available legal streaming options. Usually we achieve 90% matching across your content without any manual intervention, using a combination of advanced fuzzy matching logic and machine learning. The Gyde API can be easily integrated into your website dynamically, loading all available legal streaming sources for a specific title keyed against your own databases Primary Key. This means integrating streaming options on your website or app is as simple as calling a JSON API endpoint. Want to know what content users are accessing the most frequently? Need to understand what platform is driving the most conversions for you? 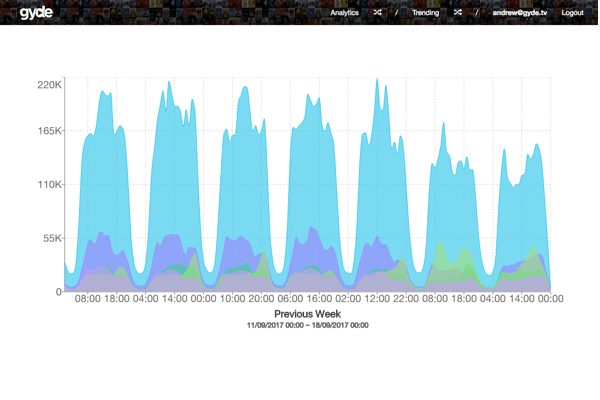 Gyde Demand reports on every click, every platform, everytime. Gyde provides a set of tools to make modifications to the matching process, resolving duplicates and making corrections as neccessary. This tool gives you complete control over the matching process. 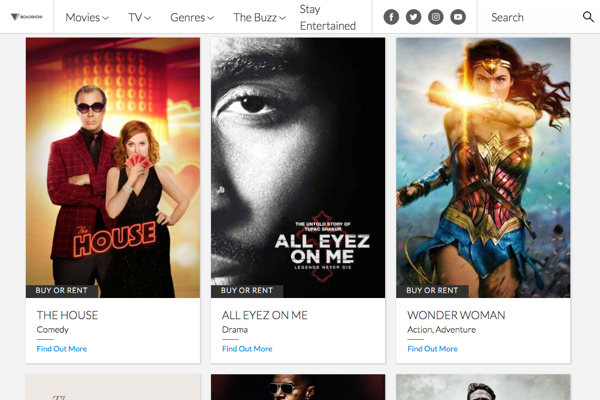 Get in touch with Gyde today to understand how we can help your business automatically link a custom catalogue of Movie & TV titles to Video-on-Demand sources. Copyright © 2017 Gyde Pty Ltd. All rights reserved.